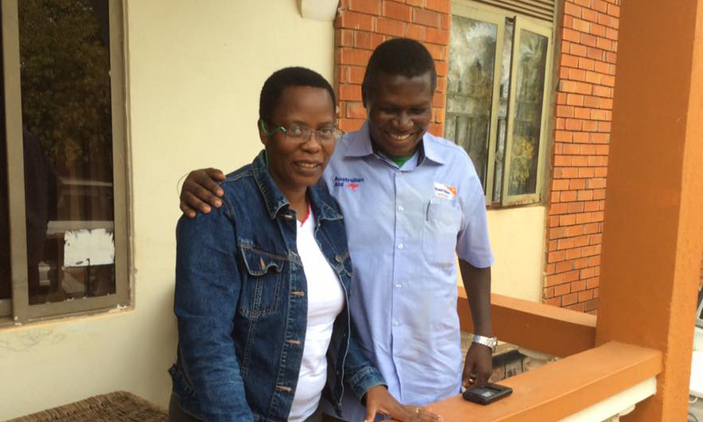 KAMPALA – The verbal rhetoric between Democratic Party President Nobert Mao and Mukono Municipality, Betty Nambooze has taken an ugly twist, with Nambooze comparing her party President to a pumpkin. While addressing the media yesterday, Mao gave an ultimatum to all the Democratic Party members including Nambooze (Minister of Information and Kampala), Lord Mayor Elias Lukwago who was named Vice President and Allan Ssewanyana who were given posts in former Presidential Candidate, Kizza Besigye’s government to declare if they had left the party. Mao’s remarks angered Nambooze who fired back during today’s Twitter chat by the Leader of Opposition, Betty Aol in which she counters compared Mao to a pumpkin, and announced that she is willing to face the Party’s disciplinary Committee because this isn’t the first time she is dragged to the Committee. The Mukono Municipality MP also questioned why the Party President didn’t address them in a better form other than governing the political party in press conferences, arguing that his style of administration is bad style and there is need for him to act like a true administrator. “We are also aware that some people are like pumpkins, they are green outside but yellow in inside. There will no way the pumpkins will love the watermelons because their colour inside is different, we only share the colour outside. So we aren’t intimidated,” Nambooze argued.